All expats are looking for a place where the skies are blue, the economy thrives, and an outstanding quality of life is offered. Millions of expats have found just these things in the Middle Eastern city of Abu Dhabi. Abu Dhabi is the capital city of the UAE (United Arab Emirates), a country with a population of 4,104,695, of which only 20% are Emiratis. In Abu Dhabi, expatriates make up 74.4% of the population - all of whom are striving for a better life or seeking a new beginning in this city of skyscrapers and lofty dreams. Abu Dhabi is a T-shaped island located in the northeastern part of the Persian Gulf. It is connected to the Arabian Peninsula mainland by means of the Maqta and Mussafah bridges. Some of its suburbs such as Khalifah A, Khalifa B, and Raha Beach are found on the mainland. The climate is hot and arid; expats are assured of sunny weather most of the year. In the months of June to September expect a few sandstorms, but between November and March the temperature cools down. Abu Dhabi has about 860,000 inhabitants, 25.6% of whom are UAE nationals and the remaining percentage is composed of expatriates. Most expatriates are migrant workers from countries such as India, Pakistan, the Philippines, and the UK. The capital city of UAE is the wealthiest emirate, with a GDP per capita of 63,000 US Dollars and its citizens have over 1 trillion dollars invested worldwide. Its economy continues to thrive, and even registered an impressive per capita income growth of 9% in 2006. Obtaining visas and permits are part and parcel of moving to another country. If you are a citizen of a Gulf Cooperation Council (GCC) member-country, you are an exception to the rule and you do not need a visa to get into Abu Dhabi; all you need upon entry is your passport proving that you are a citizen of a GCC member nation. GCC member nations are United Arab Emirates (UAE), Kuwait, Bahrain, Saudi Arabia, Oman, and Qatar. Nationals of most European countries such as Italy, Austria, and Greece and some Asian countries such as Malaysia, Brunei, and South Korea will be granted a single visit visa free of charge upon entry to UAE. If you are not a citizen of the countries exempted from visa requirements, then you need to obtain one and find a sponsor to apply for one. Sponsors may be a hotel or tourist company, airline or airline handlers (for crew members), organizations based in the UAE, or relatives or friends who are residents of the UAE. The sponsors normally apply for a visa on behalf of the applicant. If you would like to stay for more than three months, you may want to apply for a multiple-entry visa, which is valid for six months and costs about 1,000 AED (Emirati Dirham). The validity of this visa is non-renewable. German citizens may apply for a visa, with no need for a sponsor, valid for one to two years for a fee of 1500 AED. US citizens on the other hand may apply for a visa, free of charge, with a validity of one to ten years, for as long as they have a sponsor. You can click here for further information on securing a visa. There are a few essentials you must have before you go this sunny city. It is imperative that you bring summer clothes made of light fabric, but keep in mind that Abu Dhabi is a Muslim city, and you must respect the conservative culture. Make sure to have your sunglasses on your carry on luggage and you might want to bring a jacket or two for the cooler, windier evenings and to use as cover-up for more revealing outfits. Considering the climate, skin moisturizers and lip balms should be part of your handy kit to avoid any skin dryness and unwanted lip chapping. A set of handkerchiefs is most helpful, especially for shielding your eyes and mouth from the blowing sands. There are a number of shipping companies that can help you haul the rest of your belongings like Bishop's Move. For further listings of UAE shipping and removals companies check this site. If all the essentials are safely packed, then you are most welcome to join the thousands of expats whose dreams are coming true in the thriving city of Abu Dhabi. Job hunters will find a treasure chest of career opportunities in Abu Dhabi since it is the base of one of the most powerful economies in the Middle East. Like many expats who travelled to this land, you will also be enticed to seek employment in its leading sectors such as technology and tourism. This city is also more laid back and less frenzied compared to its neighbour Dubai though they are similar when it comes to having high-rise buildings and state of the art architectures. Abu Dhabi is known for having a massive expat population, safe environment, active nightlife and lots of exciting activities. Here are some tips that’ll help you relocate to the oil-wealthy city. Sunscreen shawls and other garments that will protect you from the city’s desert climate and sandstorms are a must. Since it is the second largest city in the UAE, it is best that you start your housing search a few weeks before you relocate. Many websites post real estate properties in Abu Dhabi including their photos, locations and prices. You can check these online portals and create a list of potential accommodations in the city. Once you arrive, you can contact and hire a local broker to assist you in you. Agents are very familiar with the suburbs and have many options in the housing market which can speed up your search. Most rentals do not include the cost of utilities like water, gas, electricity and garbage collection in the rental pay. In Abu Dhabi, you need to budget around €70 monthly to cover the bills for these necessities. There is also unlimited internet connection in the city which is going to cost you about €80 per month and mobile service where local prepaid calls are charged €0.15 per minute. Accommodations in Abu Dhabi are expensive especially in the central neighbourhoods such as Al Zahiya and Al Markaziyah where there are many tourist attractions. Housing in these areas is more of high-rise apartment buildings where a majority of expats are living because of its proximity to the business hub and several amenities. You can also negotiate with the landlord when it comes to your rental agreement whether you prefer a short term or long-term lease. The price of a one bedroom flat in the metropolitan starts at €1700 per month and €3200 for a three bedroom unit. Some expats are also residing in the outskirts where the travel time to the city centre is ten to fifteen minutes on a quiet day and thirty to forty-five minutes during rush hour. A one bedroom apartment in neighbouring districts usually costs €1300 per month and a three bedroom unit is around €2500 monthly. Several private and international schools cater to the educational needs of the growing expat community in Abu Dhabi. You can choose to enrol your children in one of these institutions like the Abu Dhabi International School, which follows the British, American and International Baccalaureate Program (IB) in their curriculum. Expats admission to public schools in the city depends on several terms and conditions that you can read here. Abu Dhabi is also the home of many prestigious local schools that provide quality education. 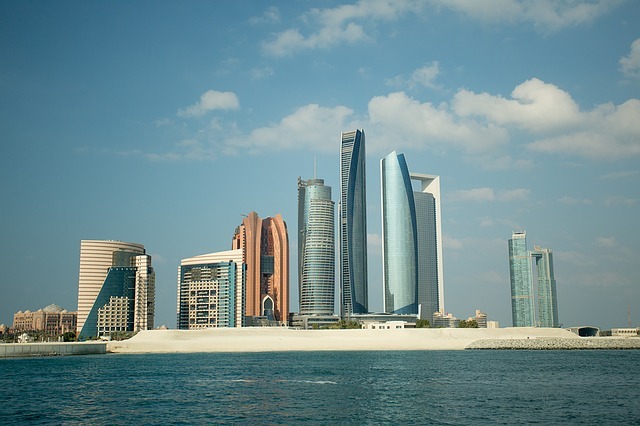 One of these state institutions is the Abu Dhabi University, founded in 2000. You can find furnished apartments in the city, but you should expect that these units come at a very high price. If you are going to move into an unfurnished unit, then you have to ship your furniture, appliances and belongings from your home country to fill up space. It's best that you call international shipping and removal companies to ensure an efficient delivery of your packages to Abu Dhabi. The average transit time for the containers to arrive in the Port of Jebel Ali is 22-41 days where local customs officials are stationed to conduct an inspection of the cargos. To learn about the city’s import regulations, click here. All pets entering Abu Dhabi should have a microchip which is the only form of identification accepted in the city. If you want to take your pet, you must get an Import Paper from the Ministry of Climate Change and Environment thirty days before arrival. You should also provide the original copies of the Rabies Vaccination Certificate and International Health Certificate (endorsed by the government of your home country). There is more to this Abu Dhabi than just its thriving metropolitan; this is a place where nature blends perfectly well with modernisation and you are about to witness its many green pastures and pristine bodies of water that both deserve a visit during your weekend. Abu Dhabi which means ‘Father of the Gazelle’ in English is one of the Seven Emirates that comprise the UAE. As the country’s thriving capital, Abu Dhabi is known across the world for being a highly successful alpha global city that attracted expats that are in search of a prosperous future and a great life. The city initially had a reputation for contributing to the pearl trade industry, but Abu Dhabi grew and developed once oil was discovered in 1958. 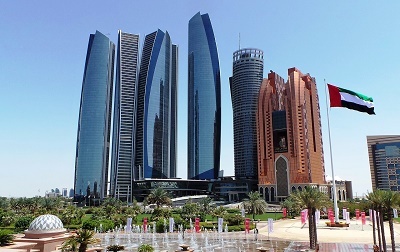 Today, Abu Dhabi is the 13th richest country in the world and is known to house several government offices, number of high-rise buildings and well-developed parks, gardens and tourist entertainment areas. Abu Dhabi also boasts a high quality of life and in 2016, it was hailed as the safest city in the region and the 23rd globally. Aside from the plethora of hotels that have swimming pools, Abu Dhabi also houses miles of picturesque beaches. Those who want to beat the city’s scorching heat can head with their family at any private resort or particularly at The Club, a private members’ club that was founded by a group of expatriates in 1962. Another spot-on destination for those who love the water is the Yas Water world whereas it will only cost AED 185 per person to enjoy its multitude of rides, pools and restaurants. Expat parents who have kids will also enjoy Abu Dhabi’s outdoor. There is the Al Safa Park which is a great place not just for the children but also for adults who love to play volleyball, soccer and tennis. Last but definitely not the least is the Al Ain Zoo, a 900 hectare park that houses over 4,000 animals with at least 30% of the 180 various species are considered endangered. Islam is the official religion in the United Arab Emirates, and a huge majority of Abu Dhabi Emirates are Muslim. Although it is illegal to preach any other religion aside from Islam in Abu Dhabi and the rest of the UAE, non-Muslims can advertise religious activities such as fundraisers and celebrate holidays like Easter, Christmas or Diwali. It is extremely important for expats to note that during the month of Ramadan, expats will need to refrain from eating and drinking in public or in front of other Muslims. Though Islam has an undeniable influence in Abu Dhabi's societal norms, but expats will still be glad to know that the locals have deep respect for other culture or religious practices. Expats who love to buy just about anything will enjoy living in Abu Dhabi. This city has an impressive selection of malls that sell local and international products. One of the most famous shopping spots is the Abu Dhabi Mall. 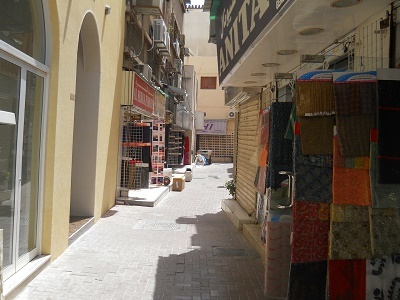 Also referred to as the ‘Heart of the City’, this three-storey shopping centre has over 200 shops and it conveniently located in the Tourist Club Area next door to the Beach Rotana Hotel. The three leading supermarkets in Abu Dhabi are Spinney's, Carrefours and the Abu Dhabi Cooperative Society All of these major grocers don't just shelf a variety of Western goods but also offer quality products at an affordable price. Newcomers in this city should also watch out for the general discount season which is either at the middle or end of the year. Abu Dhabi now ranks as the 26th most expensive city in the world to live in. Still, thousands of hopeful expats still troop to this Middle Eastern destination. Abu Dhabi is a city of broad boulevards, high-rise apartments, and lush greenery amidst the desert sands. It is a place you'd look forward to living in. If you're single, you could opt for a room in a shared apartment. Shared accommodation in a good area would cost you about 2000 AED (Emirati Dirham) or just under 550 USD (US Dollar) a month in rent. If you want more privacy and more space, the monthly rent for a 2-bedroom furnished an apartment in a convenient location is about 10,000 AED or 2,700 USD. Monthly rent for a two-bedroom furnished house in a good location for a family is around 20,000 AED or 5,450 USD. If your budget permits, investing in real estate is a great idea. The cost per square meter of real estate in Abu Dhabi is about 3,675 AED or 1,000 USD. Popular residential locations are Emirates Hills, The Springs, Dubai Marina project, The Greens, Meadows, and Arabian Ranches. Essentially a Middle-Eastern country, the cuisine is primarily made up of fish or meat and rice. A kilo of fresh cod or other white fish costs about 40 AED or 11 USD. And despite its Muslim culture, meat is also widely available in Abu Dhabi. A kilo of fresh whole chicken costs about 18 AED or 5 USD while a kilo of fresh beef filet amounts to 40 AED or 11 USD. The cost of groceries is on average on a par with other expat destinations, ranked 106 of 276 destinations. Basics such as milk cost about 5 AED or 1.36 USD for a liter, a dozen eggs are priced at 8 AED or 2.18 dollars while a loaf of bread costs about 2.50 AED or 0.68 USD. The main means of transportation is through the Abu Dhabi roadways. Taxis are common and affordable. The city currently has 8,000 white and gold colored taxis for which the fare is about 1 to 2 AED upon flag down. The Al Ghazal taxis that are colored silver are a bit more expensive, and can be pre-booked by phone. A recent addition to public transport in Abu Dhabi is the public bus. Back in June 2008, the Department of Transport (DOT) introduced public buses with only four routes. To make this kind of transport more inviting to passengers, the DOT decided to apply zero-fare for all routes; as a result public buses are congested. Driving or renting a car are good alternatives. Abu Dhabi has right-hand driving, and the traffic regulations are strictly implemented. Petrol prices, as expected, are lower than other destinations. A gallon (not a liter) of unleaded gas costs about 8.60 AED or 2.34 USD. Clothing costs can be high, especially if you prefer good quality materials. A dress, for example, costs about 200.00 AED or 55 USD while a pair of jeans cost around 190.00 AED or 50 USD. Men's suits on the other hand cost around 600.00 AED for a set or 160 USD. For expats who love eating out, you will pay around 150 AED or 40 USD for a three-course dinner in a good restaurant. If you prefer some quiet time, enjoy a cup of coffee in a café for about 12 AED or 3.25 USD. You can also enjoy some downtime along the Abu Dhabi coasts, either sunbathing on the beach or taking part in thrilling water sports. Sports like canoeing, powerboat racing, golf, camel racing, and horseback riding are among the many means of recreation in this exciting city. An expat can truly find a perfect place with job security in Abu Dhabi, this city of skyscrapers. The capital city of Abu Dhabi is not only home to towering buildings and grand hotels; it is also the Mecca for thousands of expatriates looking for employment and prosperous future. Despite the efforts for ‘Emiratisation' which refers to the local government's initiative to prioritise the employment of UAE nationals, the opportunities for expats remain abundant. The international community remains the major contributor to Abu Dhabi's workforce. In fact, there are about 2.6 million expatriates employed in the UAE, and in the capital city of Abu Dhabi, migrant workers compose 74.4% of the population. To further affirm the significance of the expat community, according to a Reuters' survey, the UAE is the third largest sender of remittances in the world. Abu Dhabi has the largest share of hydrocarbon wealth in the entire UAE (95% of oil and 92% of gas), making it the largest oil producer in the country. This translates to a need for more workers in the oil industry. 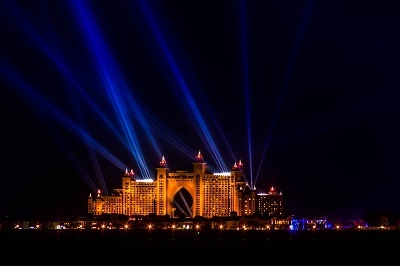 In recent years, the world has also turned its eyes to Abu Dhabi for its fast developing real estate and tourism industry. No wonder that the unemployment rate in Abu Dhabi remains low at 3.7% in 2015. This recent diversification of the city's economy has generated jobs for thousands of expats. The capital city has veered away from the traditional newspaper and magazine ads and established a website called Jobs Abu Dhabi, to attract expat workers. 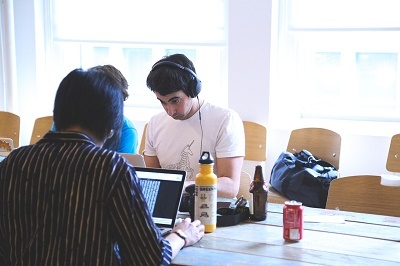 This site provides around 3,000 jobs, for various industries such as teaching, call centres, and IT. The minimum wage in Abu Dhabi is AED 1,000 or around USD 270. However, this figure can still vary depending on your job position and qualifications. For example, the average monthly salary in this city for someone who works in security or law enforcement is AED 3,600 or USD 980 while jobs in the manufacturing industry pay an average salary of AED 4,250 or USD 1,150 per month. As of 2009, the government started working on improving labour laws to designate a wage protection system to ensure that salaries are paid on time and by what is stated in the employees' contracts. In Abu Dhabi, the general policy of working hours per week is mandated by The Executive Council of the Emirate of Abu Dhabi-based on the nature of work. Though, the city applies a 48-hour workweek. Work can start as early as 7 or 8 in the morning and end at either 3 or 4 in the afternoon. Since Abu Dhabi is now a mixture of communities from all over the world, the culture is somehow more open and flexible in comparison to the rest of the Middle Eastern nations. However, as an expat, it is still essential to remember that Islam is the religion observed in the city, and thus, these practices should be respected. The Islamic tradition places great emphasis on generosity, respect, and modesty. Thus, make sure that you adjust your work wardrobe to their more conservative nature. Establishing good business relations are important for the people of Abu Dhabi, so make sure to accept social invitations for parties or gatherings. Do not schedule meetings during prayer time, especially during Ramadan, as these times are sacred to Muslims. Keep in mind customary greetings like "As-salam Alaikum," (peace be upon you) to which the reply is "Wa Alaikum as-salam," (and upon you be peace). If there were just one reason to choose Abu Dhabi for an exciting new life as an expat, it would have to be the endless employment possibilities in this city.